As the fiscal year ends on June 30th, nearly all 50 state governments across the United States (with the exception of Vermont) are required to maintain a balanced budged whether by statue/law, constitutional amendment, or judicial decision. From state to state, the requirements vary from the simple introduction of a budget, to a balanced budget, to budgets that are based off of the available cash on hand by the state. The governor’s proposed budget must be balanced (43 states and Puerto Rico). The legislature must pass a balanced budget (39 states and Puerto Rico). Unfortunately, 2017 has seen a situation where 11 states did not pass their budgets by the June 30th deadline. In some states, such as New Jersey or Rhode Island, political differences between legislators created a budget impasse; whereas in other states, such as Illinois, budgets have not been passed in nearly three years. We have compiled a breakdown of states that saw budget impasses in 2017. Please note that some of these are still undergoing budget negotiations and as such the situation may evolve. On Monday, July 3rd, Governor Chris Christie signed a $34.7 billion budget ending a three-day government shutdown that sparked a backlash against the governor. While the publicity focused on Christie’s Sunday trip to the beach, the shutdown stemmed from a plan to restrict the state’s largest health insurance provider, Horizon Blue Cross Blue Shield of New Jersey. Christie had approved of the Democratic-controlled Assembly and Senate’s other appropriations, including $325 million in additional funding from Christie’s proposed budget from February, which include $150 million in additional school funding. However, he wanted lawmakers to sign off on a bill capping Horizon’s reserves, while using the excess funding to pay for drug treatment and other care for the poor and uninsured. In the insurance industry, reserves are often called risked-based capital, which helps hedge against unexpected healthcare payouts. Essentially, Christie wanted to cap Horizon’s reserves, and giving an estimated $300 million for the expansion of drug treatment programs. He also wanted to give the assembly the control to appoint two members to Horizon’s 15-member board. Assembly Speaker Vincent Prieto (D-Hudson) pushed back against Christie’s plan, calling it “extortion” as Horizon initially had nothing to do with the state’s budget. As a result, Christie pledged to line-item veto democratic-backed spending if lawmakers didn’t pass the Horizon cap. Meanwhile, Senate President Stephen Sweeney (D. Gloucester) posted S4 (the “Horizon Bill”) to the Senate’s June 29th schedule, where it was passed. Speaker Prieto, however, refused to post S4 to the Assembly schedule and instead posted the budget (A5000) for a vote. The vote on A5000 became deadlocked, and Speaker Prieto refused to remove the bill resulting in the state-government shutting down. Legislators worked through the holiday weekend to come to a resolution on the Horizon Bill and budget impasse. On Monday, July 3rd, Speaker Prieto, Senate President Sweeney, and Governor Christie emerged with a resolution and the state government reopened for business as usual. Creating a process for Horizon to submit a plan to DOBI to determine how excess reserves above the 725% level should be used to reduce future policy holder premiums or otherwise benefit policyholders. Requiring DOBI to establish requirements for health services corporations to provide detailed financial reporting information, including executive compensation, and to post this information on the department website. On June 30th, the Pennsylvania State Legislature approved a $31.99 billion budget for the 2017-2018 year. While the budget received bipartisan support, lawmakers have yet to agree on a funding package and remain in negations at the time of publication. The bill awaits Governor Tom Wolf’s (D.) signature until lawmakers can solve a $2 billion deficit. If the Governor does not veto the bill, it will automatically become law without his signature. 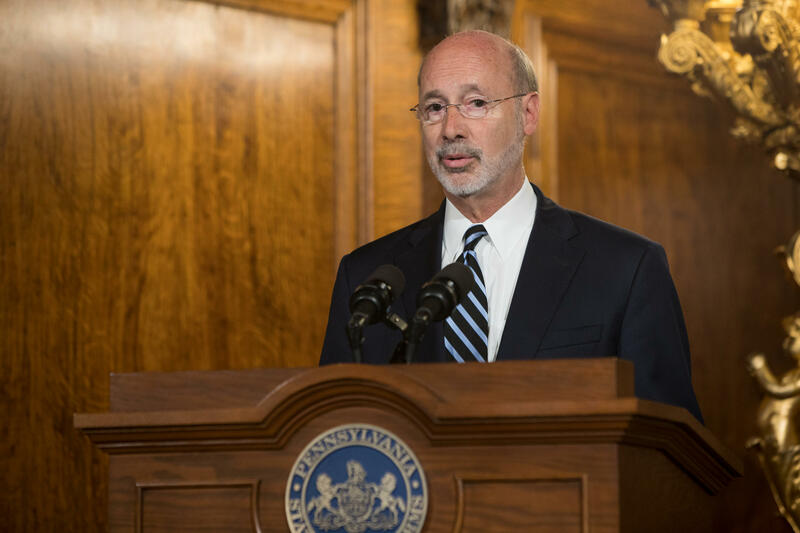 In 2016, Wolf vetoed the legislature’s budget, but the government kept spending money. As a result, schools, counties, and nonprofits began taking out loans to stay afloat, and not until local governments threatened to withhold taxes and schools said they would remain closed after the holiday break did lawmakers finally approve a budget. This year, lawmakers have debated several options for funding the deficit, including borrowing up to $1.5 billion against future revenues from a 1998 multistate settlement with tobacco companies. While Wolf and Senate Republicans have supported the idea, House Republicans have opposed it adamantly. House Republicans have suggested leveraging 40,000 video gaming terminals at bars, taverns and other establishments for more tax revenue. Senate Republicans have pushed back, saying it will cut into casinos which already contribute a large sum to government coffers. Some Democrats have lobbied for a tax on Marcellus shale drilling, but the Republican majority has strongly refused to bring tax increases to a floor vote. Other options include expanding privatized liquor operations while reassessing the sales tax on purchases of alcoholic drinks. Senate President Joe Scarnati, (R. Jefferson) has said he’s working on legislation to expand casino gambling in the state, but few details have emerged. The 2017-2018 proposed budget is roughly 1.6 percent higher than the $31.5 billion budget in 2016-2017. Unfortunately, the budget faced a $1.1 billion shortfall in 2016 due to an underestimation of human services and corrections needs. The budget became law without Wolf’s signature when lawmakers delivered a $1.3 billion package in additional funding centered on cigarette tax increases. As of publication, the House and Senate were in session over the weekend to move various pieces of legislation needed to complete the budget process. Both the House and Senate returned on Monday, July 10th at 11:00 a.m. for another long day of negations. Democratic Governor Daniel Malloy took executive control of the state’s finances on June 30 after lawmakers failed to agree on a budget. Despite having one of the highest per capita incomes in the country, the nutmeg state could run a $2.3 billion deficit in 2017-2018, roughly 12 percent of the state’s budget. Lawmakers haven’t submitted a budget to Malloy who has requested a three-month provisional budget that includes cuts and modest tax hikes. Democrats have a 79-72 edge over Republicans in the House. As Connecticut moves into day 10 of its budget crisis, state parks, beaches, campgrounds, and museums are beginning to feel the pinch. Statements from Governor Malloy’s office indicate that a resolution may be found by the July 18th session of the legislature, but a path forward remains to be seen. the personal income tax and disagreement over changes to the prevailing wage for state construction projects. As a result, the Delaware legislature missed its June 30th budget deadline for the first time in decades. Spending the weekend hunkered down in the state house, legislators reached a deal that included a new spending plan on July 2nd. The budget restores cut funding to nonprofits, public health programs and schools, and raises taxes on real estate transfers, tobacco and alcohol. Gov. John Carney (D) signed the budget early on Monday July 3rd. The Democratic-controlled House overrode Republican Governor Bruce Rauner’s veto and implemented a $36 billion budget for 2018, which includes $5 billion in tax increases. The Democratic-controlled Senate sent the bill to Rauner on Tuesday. The Governor vetoed the bill before the Senate quickly overruled him. The bill then moved to the House where Democrats overrode the Rauner’s veto. With a $6.2 billion annual deficit and $14.7 billion in overdue bills, credit-rating houses have threatened to downgrade Illinois’s credit rating to junk. Meanwhile, the United Way has predicted the demise of 36 percent of Human services agencies within the state. 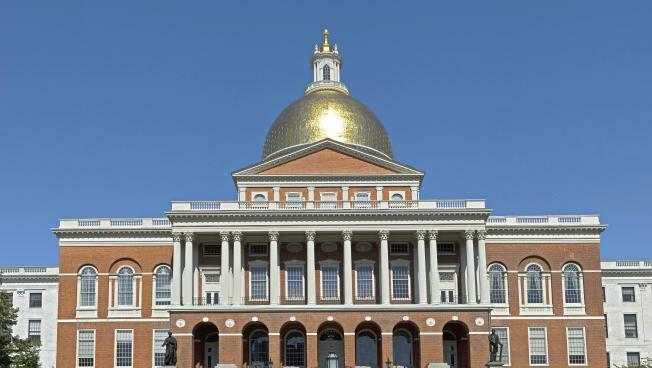 Slumping tax revenue has left the bay state with a $430 million hole. By July 6th, lawmakers said they had agreed upon a $40 billion budget but had not held a vote. The state approved an interim $5.2 million budget last month. Marijuana legalization remains a point of conflict among lawmakers. The Senate has proposed a 12-percent tax (which voters approved in November) while the state house has proposed increasing it to 28 percent. State lawmakers have passed multiple bills to keep the government operating, however, a couple items remain unfunded. Lawmakers have debated ways to best solve a $1.8 billion budget gap, which threatens hundreds of thousands of people on Medicaid and child welfare services. Governor Kate Brown (D) has pledged to rein in spending by instituting a hiring freeze for state employees, as well as taxing hospitals and insurance plans. One proposal introduced by lawmakers would cut $424 million over the next two years by halting automatic inflation increases in the budget while eliminating unfilled government jobs; however, legislators failed to find votes to reform Oregon’s tax system and public pension costs, leaving the toughest decisions to future sessions. The Rhode Island assembly ended abruptly on June 30th with the state’s $9.2 billion budget in limbo. Senate President Dominick Ruggerio (D) and House Speaker Nichoas Mattiello (D) aren’t on speaking terms and Gov. Gina Raimondo (D) says she has been in touch with both but isn’t getting into the middle of the rupture or offering to mediate it. While there be no state “government shutdown” due to a 2004 provision whereby the state operates on the previous year’s budget, tensions remain high. Most state beaches, parks and government agencies—including law enforcement—will remain open until a resolution is reached. According to a memo, state budget officials will meet with individual department leaders to help balance their books and find an additional $25 million in unspecified cuts called for in the proposed budget. However, hiring and staffing of agencies will not be impacted, assuming a budget is passed in the coming months. After missing a June 30 deadline to pass a budget, Wisconsin lawmakers remain committed to approving a smaller budget. Republican lawmakers control the legislative and executive branch. They have asked for a smaller budget that increases support for rural school districts without raising taxes. Lawmakers have also struggled to reach a deal on how to plug a $1 billion transportation hole. Earlier this year, Governor Scott Walker (R) asked lawmakers for $500 million for road construction over the next two years. He later dropped that request to $300 million. In an effort to assuage lawmakers leery of transportation costs, Governor Scott walker released a proposal on July 6, which tapped federal spending to subsidize construction costs. Walker believes federal aid will allow the state to borrow an additional $300 million for the projects.